Duffy Construction is a renowned specialist in concrete structures, completing some of the most complex reinforced concrete projects over the last 40 years. Duffy Construction is the main construction arm of Duffy Group Ltd and brings over 40 years of experience and expertise to every project. Duffy Construction is mainly involved with groundwork and structural elements of a project, so we prefer to be involved at the earliest stage of project planning. We hope to bring our experience and expertise in logistics, layout, detailing, programming and budgeting to the table. Unlike many others, Duffy Construction own all resources needed to complete every project. 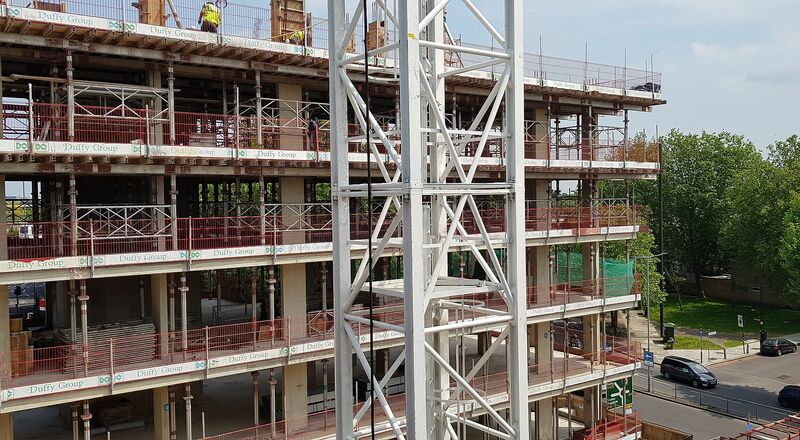 Investing in plant and formwork support systems over many years means that we have the independence and flexibility to keep in line with every project programme. We’re also different because we directly employ all of our personnel. Your project will be supported by valued site operatives and overseen by trained supervisors and experienced managers who are all part of our company. Duffy Construction invests heavily in achieving incident and injury free projects and will never compromise our commitment to safety. As members of the Concrete Society and CONSTRUCT we have proven experience in RC Frames and ground-works. As members of ROSPA and being accredited to the CHAS scheme and the Achilles Building Confidence scheme, we play an important part in promoting safety with the construction industry.